At Bridgetown Pharmacy we offer our customers a blister packing facility. This helps ease the stress involved for those taking multiple tablets daily and helps prevent confusion in relation to medication. It is aimed at customers worried about taking their medication correctly and can be a help for carers or family members who care for an individual on multiple doses. 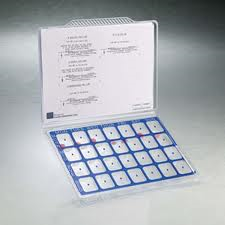 Blister pack can be provided both weekly or monthly with the customers medication allotted into different compartments daily depending on requirements. Bridgetown Pharmacy offers a facility for our customers who require a regular set prescription. 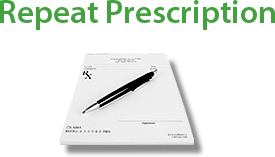 We keep prescriptions on file for our customers preparing them when notified of their need. Just call in advance and your prescription can be made up in preventing any delays. Alternatively pop in and we will prepare your prescription as quickly as possible. If you are not a medical card holder or have a GP visit card why not avail of the Drug Payment Scheme. Under the scheme an individual has only to pay a maximum charge of €144 per month for approved prescribed medicines or appliances. A medical card enables holders to avail of certain services such as GP visits, Community Health Services and dental services. If you hold a medical card it means that you do not have to pay the full amount for medication but a €2.50 charge applies to all prescription items dispensed to medical card holders. The prescription charge is capped at €25.00 per calender month per family. For more information and an aplplication form click here. If you have a long term illness or disability you may be eligible to a long term illness book which enables the holder to receive medication and/or appliances directly needed as a result of your illness free of charge. We at Bridgetown Pharmacy offer an Emergency Contraception facility in a discrete and efficient manner. To avail of the service call in store for a pharmacist consultation to assess your eligibility for the service. You will be required to fill out a short questionnaire. Our pharmacist will decide if the service can be provided and if not will offer you advice or direct you to other means of help. Our pharmacist will advise you how to take the contraception and options for future contraception if needed. Bridgetown Pharmacy offer a facility to sit down and talk to our pharmacist privately over any query or worry you may have. Our pharmacist aims to help solve any issue you may have either about your medication illness or injury you may be suffering. Our pharmacist will advise you on your options and will help decide what option is best for you. For a pharmacist consultation you can contact us for an appointment that suits you or call in store to discuss your matter.